Stu, do you make TateFX?? I am not Stu, but I can answer. He is the Tate behind the FX. No its UV printed right onto the enclosure, its a super strong way of direct to media printing. 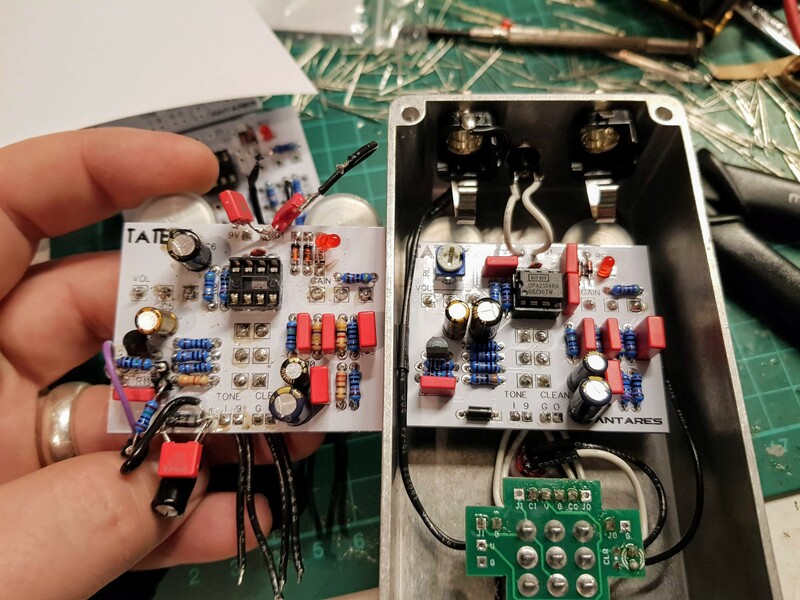 A lot of big pedal company use this method like Walrus for example. Went through almost every print company in the UK I swear no one was really into letting me put metal boxes in thier printer so I went for a company in Oklahoma. It's clever stuff it even prints onto water!! so is it a poly/ plastic straight on to the metal? The enclosure is powder coated in the sparkle orange, and the design is printed onto the powder coat. Interested a hard wearing ink that's is sprayed on like an ink jet but dried bybuv light instantly. It's hard wearing I accidentally dragged a drill across it and it didn't scratch. Any plans for more BS boosters? So the Pickup simulator for the dude in San Fran went down well, he wants another and a true stereo one! I set about designing the stereo one today, 2 total independent signal paths. However he said the knob was the hardest bit to dial in for him so if i could have one knob that controls both that would be ideal. So i'm using a dual gang pot for this design ever tried one before should be fun. Here is the schematic super simple passive, its going to go to a 4PDT for true bypass switching on both with one switch. I'd like to introduce you all to my latest pedal! 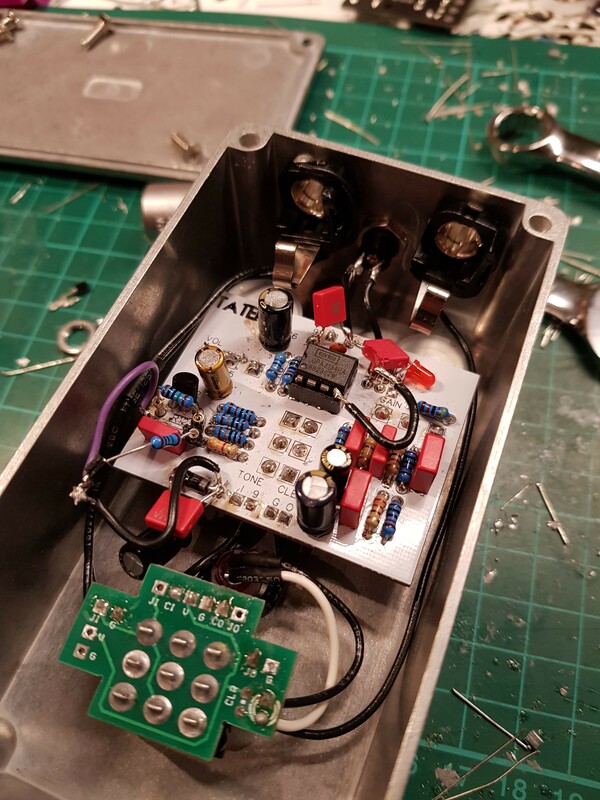 The Antares Overdrive is my take on the mid pushed over drive, taking influence from a few of my favourite Japanese OD's lots of tweaking and refining until I was finally happy. The key feature of the Antares OD is the ability to be able to blend in you clean signal. It gives you lots of options and countless combinations of volume and clean as the two controls are very interactive. It lets you get a pushed clean into a nice drive but with out losing any note clarity. It will also let you drive an overdrive amp and keep some of the low it there that can be lost with other. I'm going to explain the process of getting to the final pedal. The process was started in late April with the first version of the drive section. This is where it started for me its a cross between a SD1 and a TS808. 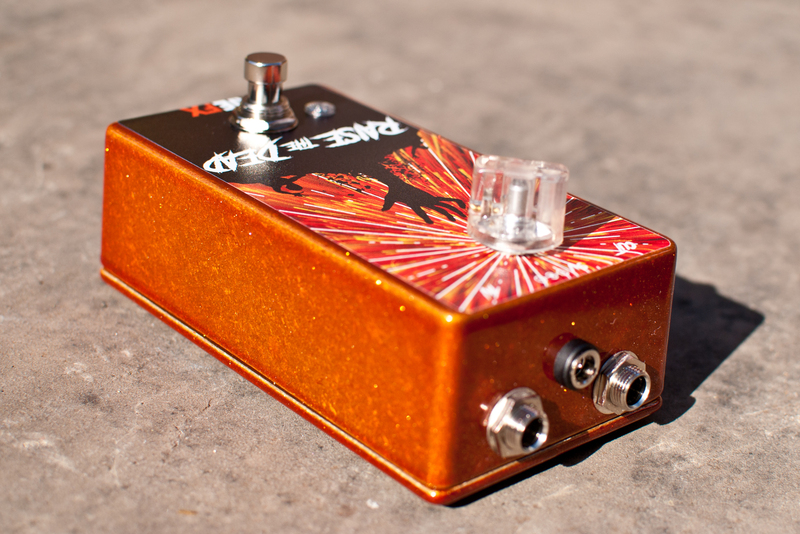 The first idea was to have 3 knobs like a normally style od pedal. After receiving the boards I deiced actually I wanted to make some changes to the clipping section and add a clean blend. So after some protoyping I order another board. when it arrived it worked ok. But OK isn't good enough. 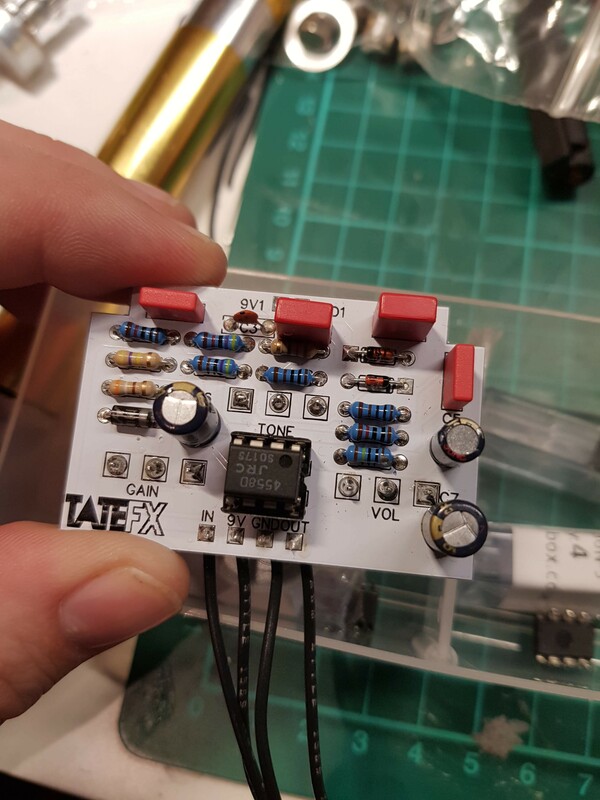 I decided to use a Jfet powered buffer on the input stage to allow me to split and blend the clean signal back into the overdrive. 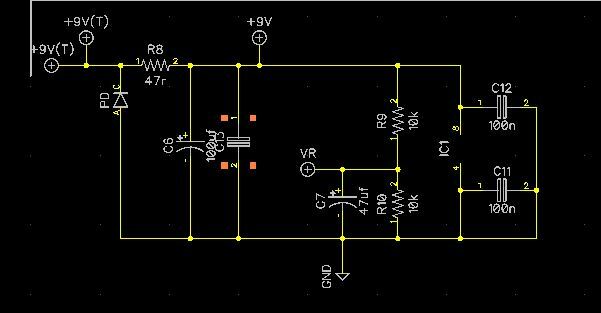 I prototyped this with a 2n5457 using a voltage divider to bias the fet to 4.5v. I was not overly happy with the sound or feel of this and ended up using a J201 biased to around 3.9v instead. The problem with J201 is that that the TO-92 package is no longer made at the SMD package is out of stock globally! Luckily I have some contacts and found a good stash of fairchild TO-92 fets. After getting the blend section to work how I wanted I found the overall background noise a little too high for what I like. 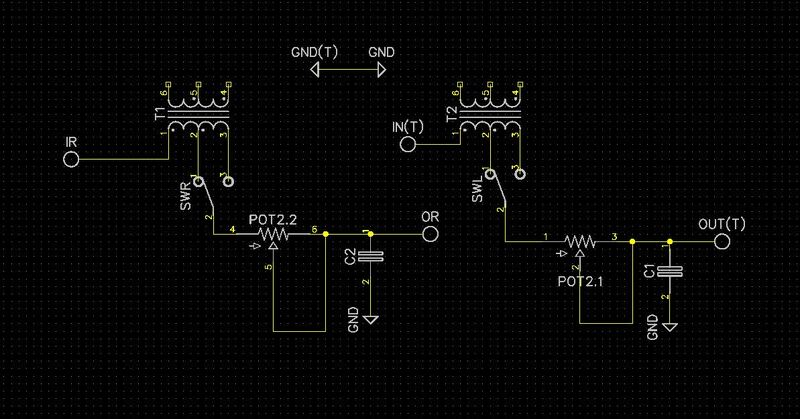 I messed around with extra filtering and came up with added extra 100nf decoupling caps to the opamp power rails. This was actually in the Burr Brown data sheet as part of the application notes. 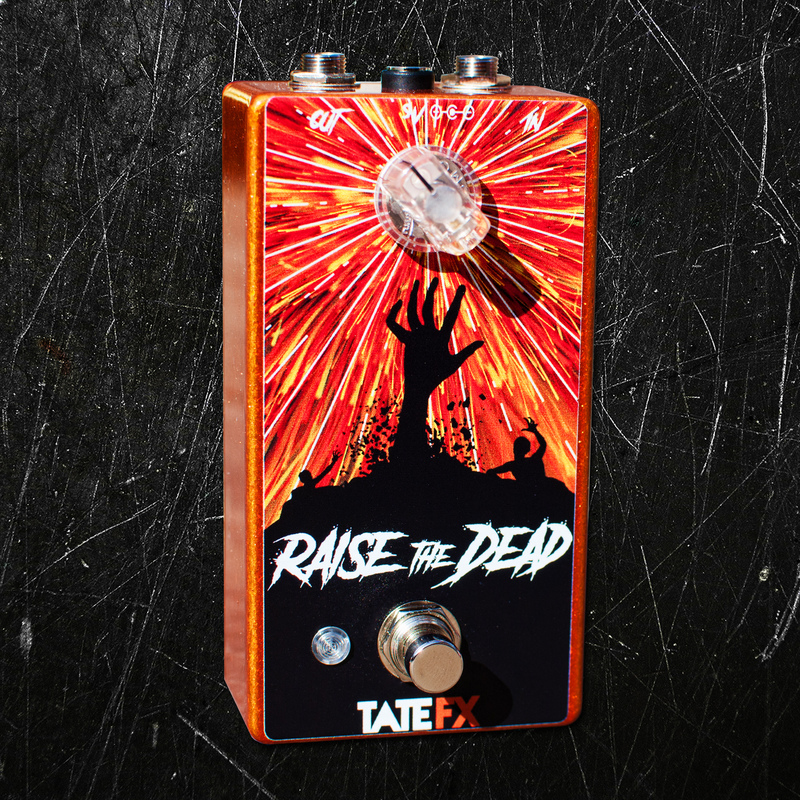 This however is not widely adopted in pedals for some reason. in the diagram its C11 & C12. 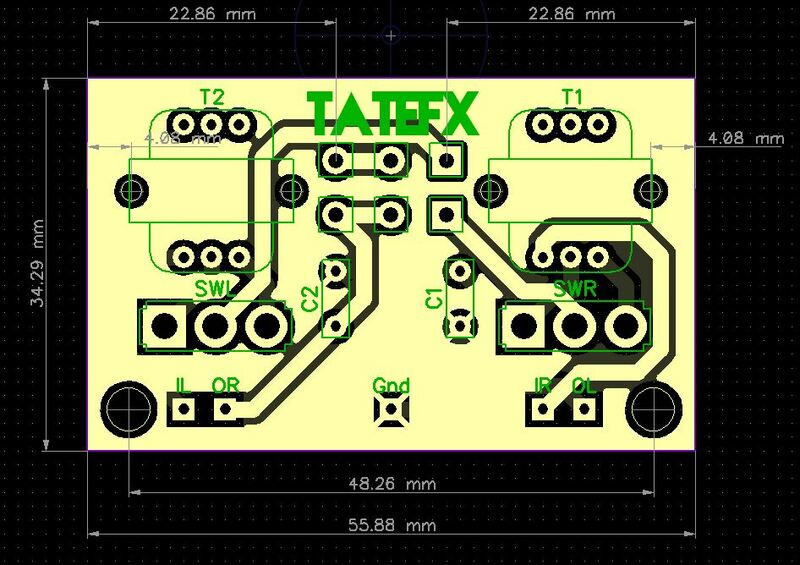 This is what the proto board looked liked when i was happy. All changes were the implemented into the final board and the product was ready for release.